Dr. Corbin D. Milenbaugh earned his D.D.S. degree from Indiana University School of Dentistry in 2003, and also attended Milligan College from 1995-1999 earning his B.S. in Biology and Chemistry. Dr. Milenbaugh furthered his dental education by completing a General Practice Residency at the University of Mississippi Medical Center in 2004. He is a member of the American Dental Association, Texas Dental Association, Academy of General Dentistry, TAGD, Special Care Dentistry, American Association of Hospital Dentists, and the Dallas County Dental Society. Dr. Milenbaugh and his team not only follow the strictest guidelines of the American Dental Association and HIPPA, but go well beyond them. He attends extensive seminars, workshops, and lectures yearly. Dr. Milenbaugh is commited to a family friendly atmosphere, with caring dentistry which sets him apart from other dentists. You can count on him for thorough, unhurried appointments designed to make you feel comfortable and relaxed. He knows that he is doing more than just creating beautiful, healthy smiles; he is also building a lasting relationship with you and your family. Dr. Milenbaugh and his team have created a practice that is recognized for world-class dentistry through his personalized care. 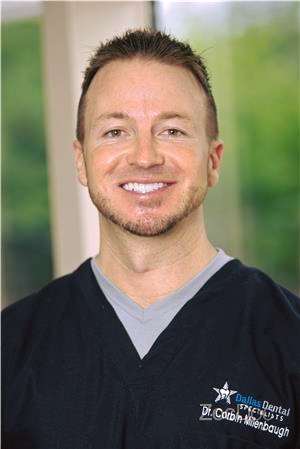 He offers his patients the latest, most up-to-date technology in aesthetic, reconstructive, and implant dentistry with over 12 years of experience. Dr. Milenbaugh has the training and experience to provide his patients with a peace of mind that they are receiving the best service available.